Before Shpikov -- Welcome to Kuna! I've always known my grandfather's family was from Shpikov. Except that I found that the Tolchinskys weren't from Shpikov. And the Sanshucks and Brandmans weren't from Shpikov--although they were from nearby Krasnoye. 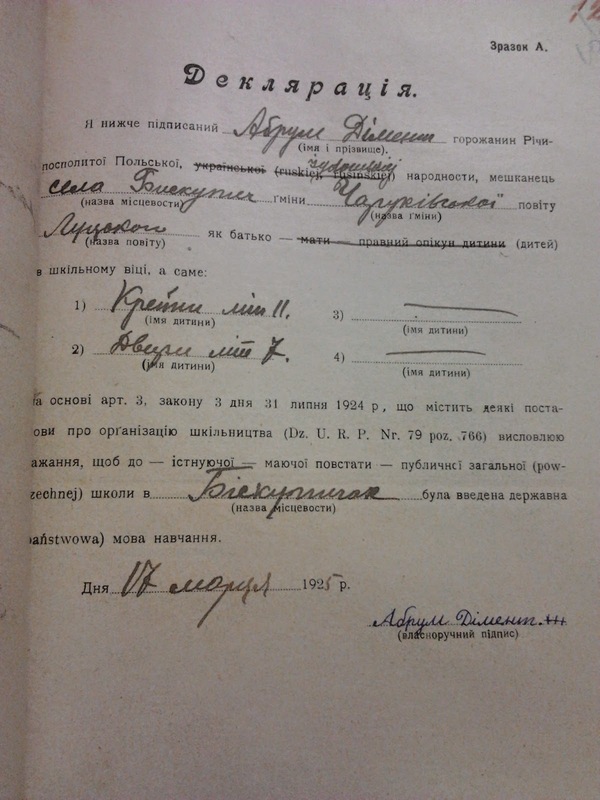 But I knew the Supkoffs (or Zubkis family) were from Shpikov--they were listed in the 1895 Households List. So there was proof of my family's long-time Shpikov existence, right? Well, not so much. 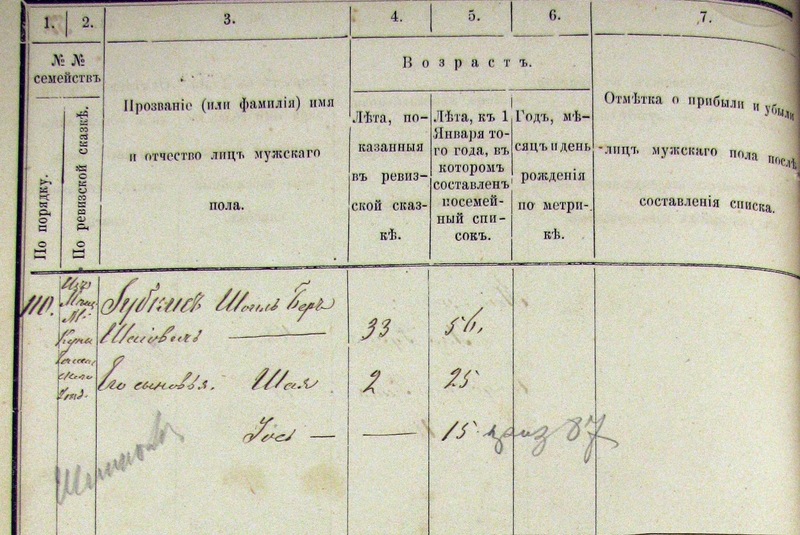 Here's the 1882 Households List from Shpikov. And the Zubkis family is here again! In 1925, when the two oldest children were in school, Avraham Tzvi signed a document allowing those children to be taught in Polish; the area recently had become part of Poland after WWI. I've already done an Ancestor Deep Dive on my great grandmother Sheva Fine Baich. But I recently received her A-file via the USCIS Genealogy program which contained a treasure trove of information on her, and some photographs that I'd never seen before. While still in Germany, she applied for a visa. 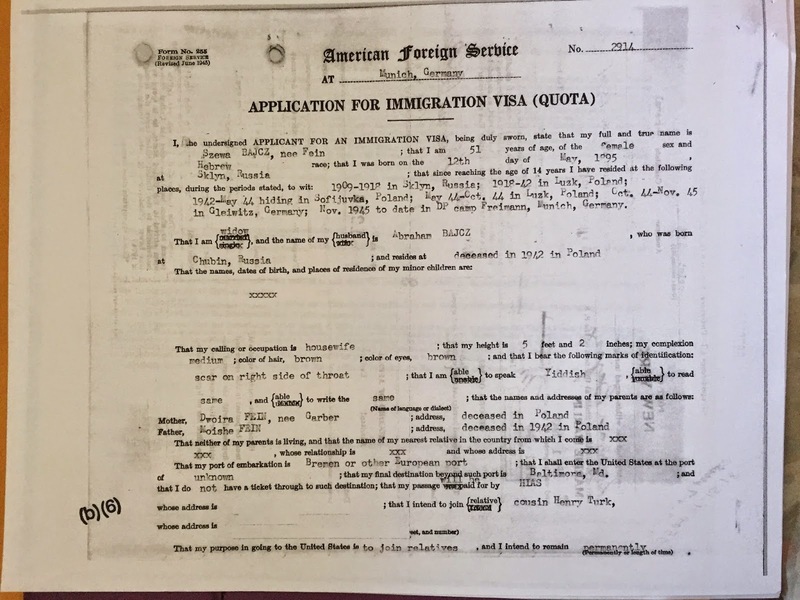 The document verified her parents' names (my grandmother had been pretty sure of Sheva's mother's maiden name but had not been positive) and gives details of where she was during WWII. Interestingly, Sheva consistently puts her married life as taking place in Lutsk whereas her daughter Sonia has always maintained that the family lived in Horochov.